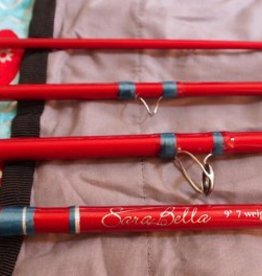 At SaraBella Fishing, we offer “smart beautiful” fly rods, especially for the female angler. 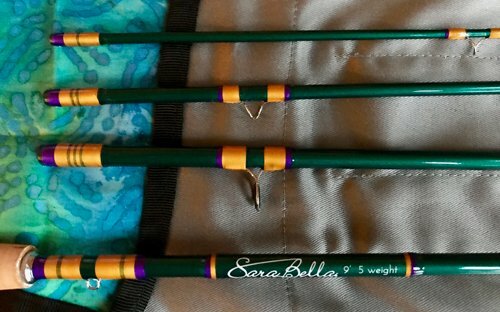 We believe that an excellent product can also be artistically made, and that we can make a positive social and environmental impact. 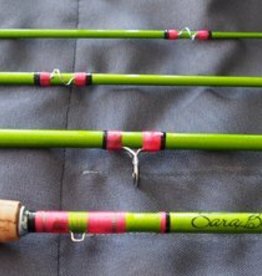 We partner with Project Healing Waters Fly Fishing in our efforts to hire Disabled Veterans on our rod-building team. We also hire survivors of breast cancer, mental illness, addiction, etc. 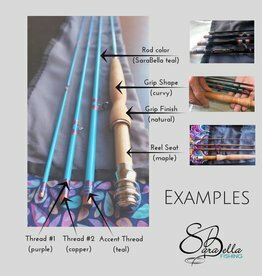 We also team up with The Mile High Workshop, a local non-profit, for our rod sleeves. 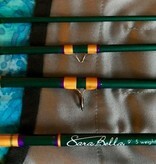 In addition to building amazing fly rods, we also support fly fishing education and conservation efforts. We are committed to excellent products and service. 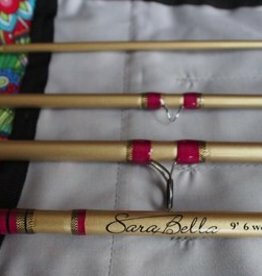 A golden 6 wt to add to your arsenal! 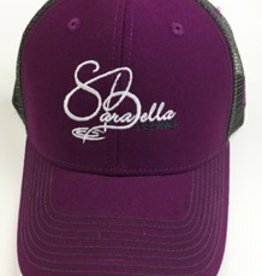 Sarabella Trucker Hats are super comfy, stylish and ready for the water. Snap back for customizable fit.